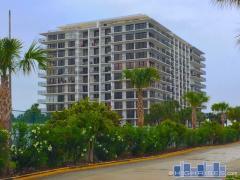 Emerald Seas is an 8-story high-rise condo tower in Cocoa Beach, FL, that features rare private beach access. Emerald Seas was built in 1992 and amenities include a swimming pool, tennis court, and sauna. Have any comments or questions about Emerald Seas? Ask your question and/or share your thoughts about this Building.